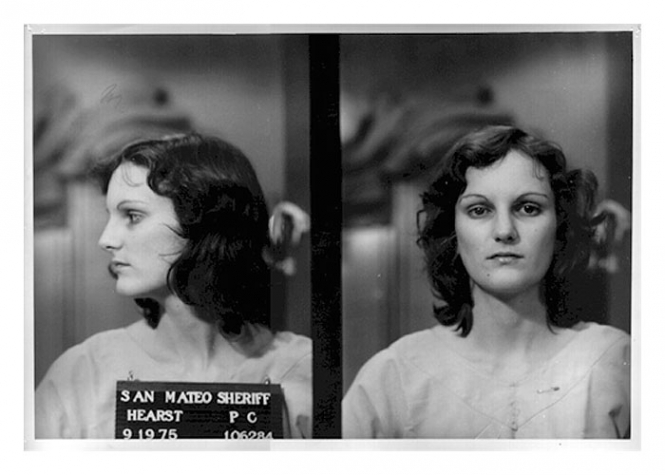 Patty Hearst, granddaughter of legendary newspaper publisher William Randolph Hearst, was photographed by the San Mateo County Sheriff in September 1975 after her arrest on bank robbery and gun charges. Hearst, kidnapped by the Symbionese Liberation Army in February 1974, was sentenced to seven years in prison. She was released in February 1979 after President Jimmy Carter commuted her sentence.